Our volunteer-powered, listener-supported station celebrates the amazing music of New Orleans. 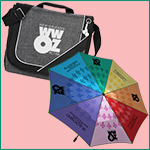 Join WWOZ and become a Guardian of the Groove! 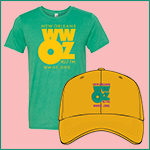 Become a sustaining member and help WWOZ continue our mission to bring the music and culture of New Orleans to the Universe. Brass Passes for 2019 are sold out! Support WWOZ and catch great live music events! Click for Brass Pass information. You're one step closer to being a Guardian of the Groove. Whichever way you choose to join the WWOZ family, know you are supporting community radio in New Orleans. If you'd like to make a donation by phone, please call 1-877-907-6999.